Year 10 are busy this week during breaks raising funds for their chosen charity – Guide Dogs for the Blind. 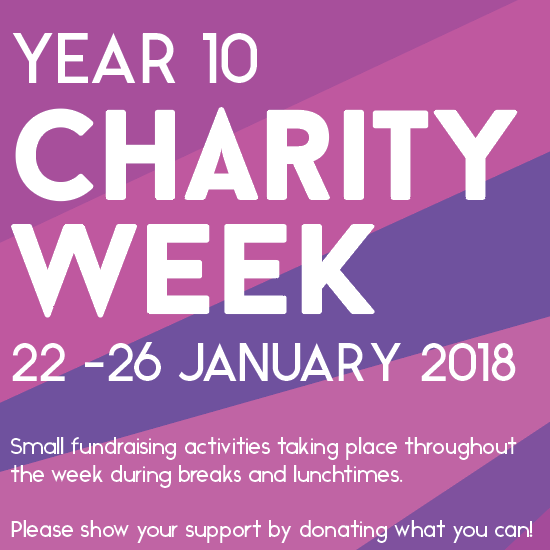 Fund raising events include; charity basketball match against staff, cake sales, chocolate raffle, guess the name of the cuddly dog, guess the number of sweets in a jar and selling hot chocolate. Please note: It is also a non-uniform day on Friday 26 January 2018. We ask that your child brings in £1 to support this worthwhile charity.